The SWAT4LS hackathon is articulated on two days. The first day intends to provide a space for discussion (or hacking) for anybody interested. Registration to the SWAT4LS hackathon refers to this day only. The second day of the hackathon will be more technical, coding oriented, and designed for a smaller number or participants. A space to record ideas for the hackathon is provided here. Hackathon (restricted). If you are interested in attending this day, please get in touch. Frank van Harmelen obtained his PhD in Artificial Intelligence in 1989 from the University of Edinburgh. Since 2001 he is professor of Knowledge Representation and Reasoning at the VU University Amsterdam, where he is scientific director of The Network Institute. In this interdisciplinary research institute some 150 researchers from the Faculties of Social Science, Humanities and Computer Science collaborate on research topics in computational Social Science and e-Humanities. He contributed to automated theorem proving (work with Alan Bundy in the 80’s) and methodologies for building Knowledge-based Systems (work with Bob Wielinga in the 90’s). 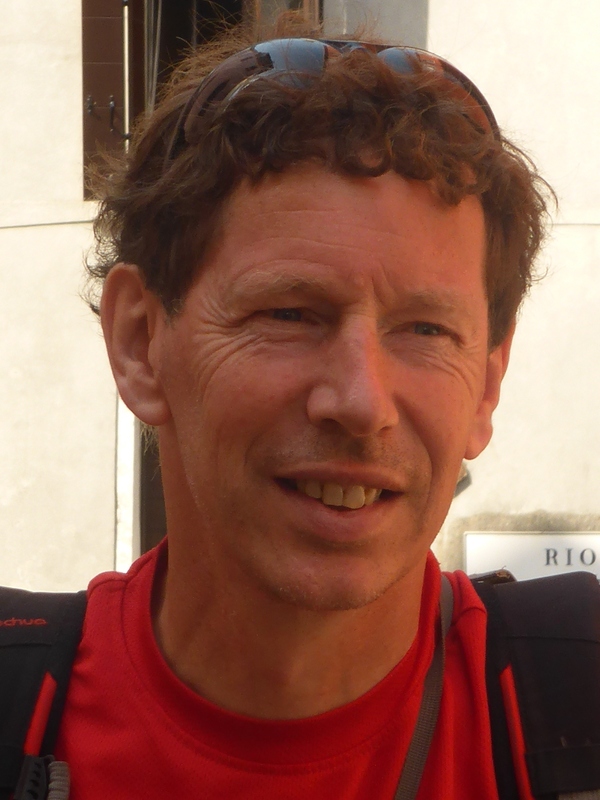 Over the past decade, Van Harmelen has been active in the development of the Semantic Web. He was co-PI on the first Semantic Web project in Europe (OnToKnowledge, 1999), which laid the foundations for the Web Ontology Language OWL. Van Harmelen wrote the first academic text book in this field, the “Semantic Web Primer” which has been translated into Chinese, Japanese, Korean, Spanish and Greek. On the technological side, Van Harmelen was one of the architects of Sesame, one of the first RDF storage and retrieval engines. Sesame is in wide use, with over 200.000 downloads and a large user community in academia and industry. The work on Sesame earned him and his co-authors the “10 year impact award” of the International Semantic Web Conference. In recent years, Van Harmelen has been pioneering the development of very large scale reasoning engines. He was scientific director of the Large Knowledge Collider (LarKC), a platform for distributed computation over very large semantic graphs. With the prize winning work on WebPie Van Harmelen’s team still holds the record in both scale and speed of inference over large semantic graphs. Kerstin Forsberg (@kerfors) is Principal Informatics Scientist in the Analytics, Information and Knowledge Engineering Practice (AIKE), AstraZeneca R&D Information. Her focus is on improving the utility and value of clinical trial data and also observational data. Mrs Forsberg has 25+ years of experience in information and knowledge management strategies, standards and solutions, across the pharmaceutical, news and automotive sectors. She is engaged in the IMI project EHR4CR, W3C Health Care and Life Science (HCLS) interest group for semantic web, Open Biomedical Ontologies (OBO) community, and in the Clinical Data Interchange Standards Consortium (CDISC). David Kerr is Director, Watson for Healthcare in the IBM Corporate Strategy team where he focuses on the Healthcare industry and Software segments. 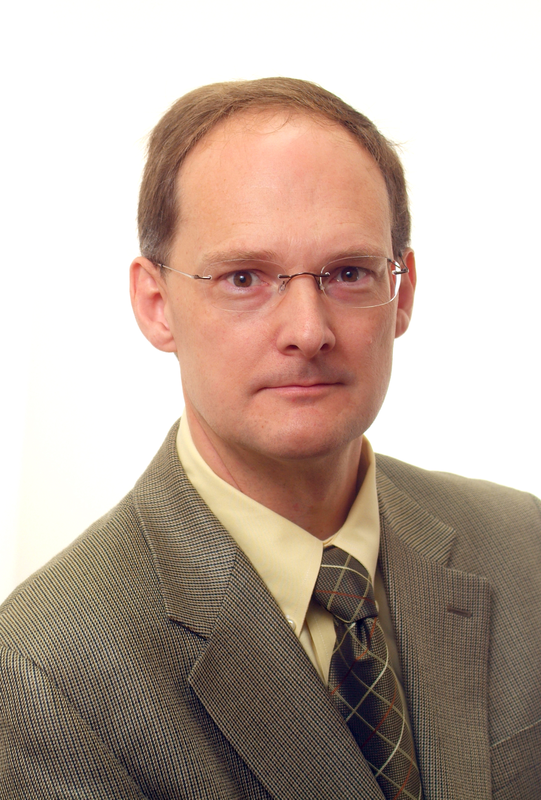 Mr. Kerr has over 25 years experience in the IT industry as a technology and business leader for software development and strategy. He led teams developing systems software and vertical industry solutions prior to assuming his current role. Most recently Mr. Kerr has been focusing on the application of IBM Watson-based analytic and cognitive technologies to Healthcare and Life Sciences industries with a particular focus on Oncology working with the leading cancer care centers in the USA. Olivier Curé, Henri Maurer, Nigam Shah and Paea Lependu. Mercedes Arguello Casteleiro, Nicolas Matentzoglu, Bijan Parsia and Sebastian Brandt. Guoqian Jiang, Julie Evans, Cory Endle, Harold Solbrig and Christopher Chute. Ajit Kumar, Sanjeev Maskara, Jau-Min Wong and I-Jen Chiang. Arman Masoumi, Andrea Marrella and Mikhail Soutchanski. JJakub Kozák, Martin Necaský, Jan Dedek, Jakub Klímek and Jaroslav Pokorný. Eleni Mina, Mark Thompson, Rajaram Kaliyaperumal, Jun Zhao, Kristina Hettne, Erik Schultes and Marco Roos. Zhili Zhao and Adrian Paschke. Jennifer Warrender and Phillip Lord. Maria Herrero-Zazo, Janna Hastings, Isabel Segura-Bedmar, Samuel Croset, Paloma Martinez and Christoph Steinbeck. Cornelia Hedeler, Bijan Parsia and Sebastian Brandt. Kimberly Clark, Deepak Sharma, Rui Qin, Christopher Chute and Cui Tao. Christian Y. A. Brenninkmeijer, Ian Dunlop, Carole Goble, Alasdair J. G. Gray, Steve Pettifer and Robert Stevens. Martijn van Iersel, Nadia Anwar and Liz Reynolds. A. Anil Sinaci, Gokce B. Laleci Erturkmen, Suat Gonul, H. Alper Cinar and Atakan Kaya. Daniel Sánchez-Cisneros, Sara Lana-Serrano, Isabel Segura Bedmar, Leonardo Campillos Llanos and Paloma Martínez Fernández. Ian Dunlop, Rishi Ramgolam, Steve Pettifer, Alasdair Gray, James Eales, Carole Goble and Jan Velterop. Mustafa Yuksel, Suat Gonul, Gokce Banu Laleci Erturkmen, Ali Anil Sinaci, Kristof Depraetere, Jos De Roo and Tomas Bergvall. Toshiaki Katayama, Masataka Kikuchi and Soichi Ogishima. Gayo Diallo and Amal Kammoun. Neil Ostlund and Mirek Sopek. Núria Queralt-Rosinach and Laura I. Furlong. Hong Sun, Jos De Roo, Giovanni Mels, Kristof Depraetere, Marc Twagirumukiza, Boris De Vloed and Dirk Colaert. Charalampos Doulaverakis, George Nikolaidis, Athanasios Kleontas and Ioannis Kompatsiaris. Norio Kobayashi, Yuko Makita, Manabu Ishii, Akihiro Matsushima, Yoshiki Mochizuki, Koji Doi, Koro Nishikata, David Gifford, Terue Takatsuki, Hiroshi Masuya and Tetsuro Toyoda. Pedro Lopes and José Luis Oliveira. Pedro Lopes, Pedro Sernadela and José Luis Oliveira. Remzi Çelebi, Özgür Gümüs and Yedim Aysin Son. Eelke van der Horst, Marco Roos and Kristina Hettne. This tutorial is an introduction to Semantic Web technologies for life sciences researchers and other professionals working on biomedical and life sciences data. It will provide an introduction to the semantic web technologies and tools in use, and an overview of how these technologies fit in the current bioinformatics landscape. The first part of the tutorial will briefly introduce key concepts and technologies (e.g. RDF, Linked-Data, and OWL) and motivate why these are important for working with life sciences data. We will conclude this part with an overview of the state of adoption of semantic web technologies in bioinformatics (which databases publish information in RDF and different representation patterns). The second part of the tutorial focuses on consuming data that has been published as RDF. We will introduce the SPARQL query language and show how it can be used to integrate datasets. There will be two hands-on activities during the tutorial related to the topics introduced: one on discovering and exploring existing ontologies, and one on making distributed queries between your local machine and the recent RDF services from EBI. Perspective participants are invited to get in contact with the presenters so that the content of the tutorial can be tuned to their specific interests. The European Bioinfomatics Institute (http://www.ebi.ac.uk) provides freely available data from life science experiments through various databases and services. In a bid to provide alternative access to the data, several groups are now publishing this data as RDF linked data. This tutorial will start with an introduction to Identifiers.org, an effort to provide resolvable persistent URIs to identify data for the scientific community. We will describe the current system, and present some forthcoming new features which will facilitate the practical integration of heterogeneous datasets using Semantic Web technologies. The tutorial will then provide an overview of RDF resources at the EBI and introduce our SPARQL services that can be used to explore either individual or combined resources; the latter achieved by means of federated queries. We will also demonstrate some of the applications we have been developing for using the RDF, such as the Atlas RDF-R package for querying the Gene Expression Atlas RDF in R and for performing over-representation analysis. OVERVIEW: In this tutorial, we will discuss specific instances in which SemWeb technologies are being applied in the interconnected domains of Healthcare and Life Sciences. These include the HL7 Model Interchange Format (MIF) and Coordination of Care Document (CCD), and several CDISC standards including SDTM and CDASH. The tutorial will also utilize a SWOT analysis framework to identify the drivers for and barriers to the application of SemWeb technologies in the two domains. The analysis will consider the perspectives of the various domain stakeholders including standards development organizations, regulators, information system “managers” such as clinical research organizations and provider organizations, vendors, and patients. GOAL: In addition to acquainting attendees with the presenter’s view of the Healthcare/Clinical Research landscape with respect to the application of the Semantic Web toolkit, the workshop is intended to be a participatory session with the goal of having attendees help develop the core content of a document that will be forwarded to W3C leadership as a aid to future SemWeb toolkit development and targeted marketing efforts. Finally, it is hoped that members of the tutorial group will – if they are not already so – be motivated to join the W3C’s Healthcare Life Science Semantic Web Working Group. PREREQ: The tutorial assumes – but does not require – a basic knowledge of the SemWeb “toolkit.” In addition, knowledge of successful (or unsuccessful) application of the toolkit to one or more Life Sciences, Healthcare, or Clinical Research markets or contexts is a plus. COEUS (http://bioinformatics.ua.pt/coeus/) is a semantic web application framework targeting the quick creation of new biomedical applications. The framework combines the latest Semantic Web technologies with Rapid Application Development ideals to provide, in a single package, the required tools and algorithms to build a new semantic web information system from scratch. We believe that COEUS’ comprehensive set of algorithms to easily import, translate and access data to and from semantic web environments can improve both the research and application development workflows. The Neuroscience Information Framework (NIF) is the largest source of neuroscience resources on the web. These resources include data, databases, software/web-based tools, materials, and literature. The NIF was developed to provide practical approach for finding, searching and integrating biomedical resources of relevance to neuroscience. The NIF system includes the NIF web portal (http://neuinfo.org), the NIF backend infrastructure, NIF Registry, NIFSTD ontology (http://purl.org/nif/ontology/nif.owl), NIF Web services, and NeuroLex Wiki (http://neurolex.org). The NIF Web portal allows researchers to search for resources of interest integrated via the semantics of the NIFSTD ontology. The NIF infrastructure comprises the set of databases that host the ontology, registry, and data resources. The NIF Registry is a catalog of resources that includes a general description of the resource along with a summary of the semantic domains the resource covers. The NIFSTD ontology comprises a set of community ontologies covering the major domains of neuroscience, which were assembled from existing biomedical ontologies and enhanced with neuroscience specific content. The NIFSTD ontologies are used to provide a semantic framework for searching and annotating diverse content. The NIF Web services power the NIF Web portal and provide access to the NIFSTD ontologies. The NeuroLex wiki is a semantic wiki where each term in the ontology is a page that is linked through the relations within the ontology to other pages and provides a more intuitive means for non-ontologists to view the content of NIFSTD and propose modifications. While NIF was originally developed for neuroscience resources, the framework is domain-independent and can be used for data integration of any domain. To this end, the NIF framework is being used for the Monarch project, which integrates disease, gene, phenotype resources, and DKnet, which integrates resources relevant to diabetes, digestive, and kidney diseases. This tutorial will review each of the NIF components from registering a resource to access via the NIF search Web portal and Web services.